There are abundant of reasons to purchase a Jeep Cherokee. With winter just around the corner, a Jeep Cherokee is a great option! Jeeps have many options to meet all of your needs even your budget. A Jeep Cherokee is great for those who love the Jeep Wrangler but wants the Luxuries of a Jeep Grand Cherokee without breaking their budget! Check out of the list of reasons why you should buy a Jeep Cherokee. The four-cylinder AWD cross-over gets 21 city/28 highway mpg! This is better than Jeep Wrangler 4WD 17 city/ 21 highway mpg and Grand Cherokee 4WD 18 city/ 25 highway mpg. 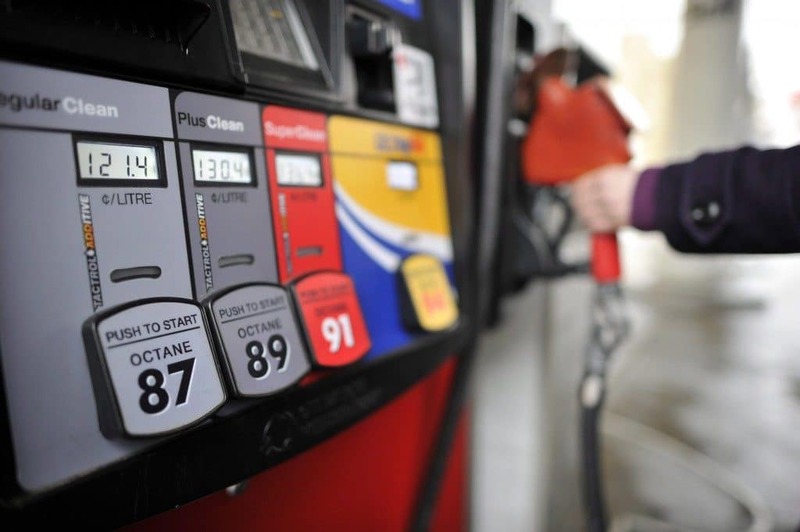 You would not only be saving on the total cost of the Jeep Cherokee, there are savings to be had at the pump as well. This is optional! We love this 8.4-inch touch screen because the design is simple and easy to use. No more fumbling to find what you are looking for. The touchscreen isn’t too sensitive, it responds well to input. You are going to enjoy how the map view looks while reaching your destination. 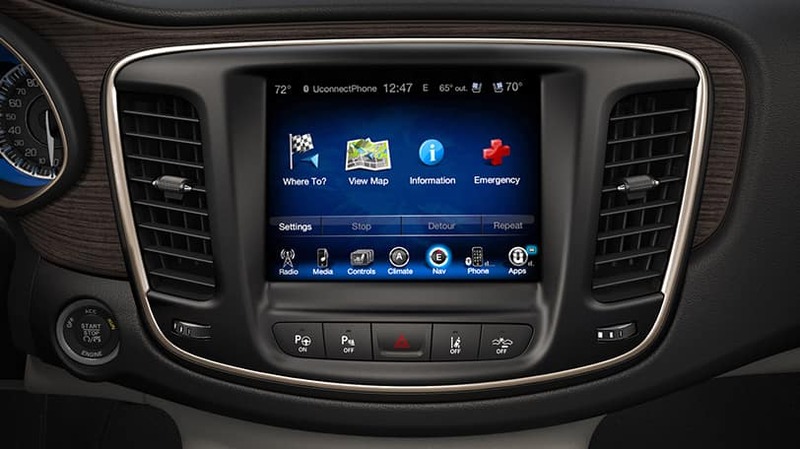 Jeep Cherokee ensures that you are still connected to your vehicle via the Uconnect Access App! The App has some great features such as remote vehicle start, vehicle finder, send ‘n go and lock or unlock your vehicle. If you are used to experiencing severe snow storms, the Jeep Cherokee should be on your list. The 4X4 is sensitive to decreased traction, once detected 4WD immediately activates. The system combined with traction control and anti-lock brakes will make driving through blustery conditions a breeze. 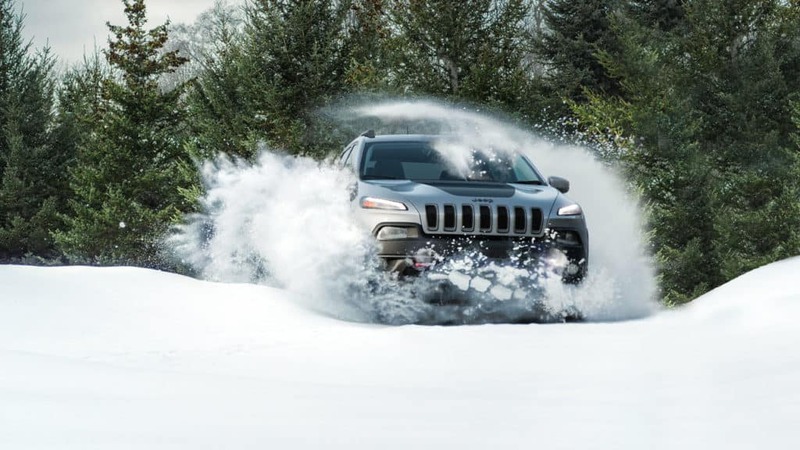 If you are the type of individual who hates shoveling and hopes the sun will melt the snow, the Cherokee’s ground clearance will be your best friend. The Jeep Cherokee comes fully prepared to handle snow, mud and sand! Jeep has done a fairly well job with increasing their safety technology. They know what potential Jeep Cherokee buyers want. The Blind Spot Monitoring System alerts driver’s when a vehicle or object is in their blind spot zone. LaneSense Lane Departure Warning with Lane Keep Assist system detects a lane drift and it will ping you to keep the vehicle in the lane. Forward Collision Warning with Active Braking, this system notifies you when it senses a possible frontal accident. If the driver does not react the system will start engaging the brakes. Do you end up finding yourself struggling to park on the street? 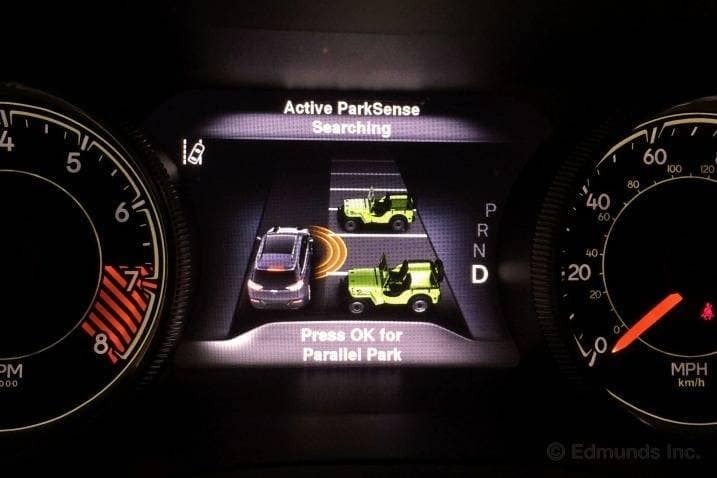 The available Parallel and Perpendicular Park Assist will be your best friend! Once the vehicle detects a parking spot it gives the driver instructions on what steps to take! The vehicle takes control of the wheel, the driver still has control over gear position, braking and acceleration. The Back-Up Camera is a great tool to use in the parking garage! The Keyless Enter ‘n Go is great for those who are always on the move and grove! The Jeep Cherokee is a great option for families who want a bigger vehicle to fit more than just a stroller! For child safety seats it does come with the LATCH, making installing a car seat a breeze. It’s even great for a ladies night, your rear passengers will be able to relax and be comfortable. Although it is not a full-sized SUV it still holds many characteristics of one. As you can see the sporty Jeep Cherokee is great for all stages of life whether you have started your: new career, family or traveling adventure. This vehicle won’t disappoint. 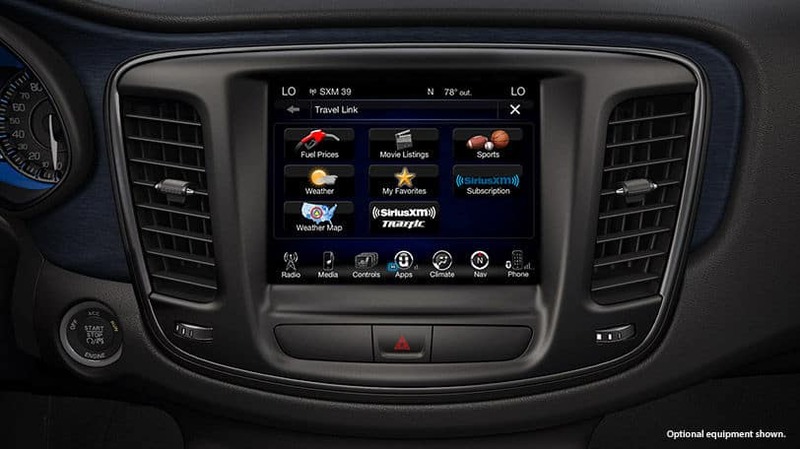 It comes in a variety of trim levels to meet several needs!